Welcome to Ghastly-Gorm Hall - the home to yet another brilliant read. 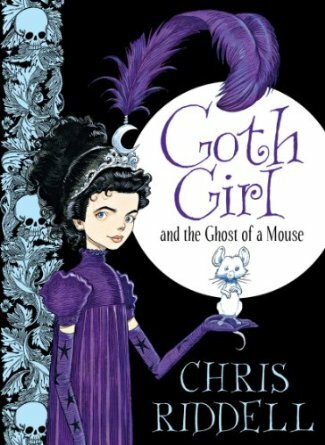 Goth Girl and the Ghost of a Mouse is one of the best books that I have read by Chris Riddell as a solo writer. It is brilliantly funny and an absolute joy to read. The first thing that you will notice is how gorgeous this book both looks and feel. There is a great deal of attention to detail which is brilliant to see within this digital era. The hand-held hardback is in the same style as the much loved Ottoline series which was published way back in February 2007. The book will definitely jump off the bookshelves to potential readers through the striking and quirky image of Ada on the front cover. Before you even start to read the book, another two aspects that will capture your attention are the iridescent purple page edges and the silver gilt skull motifs on the endpapers. Both of these elements work particularly well, in my opinion. These are definitely the best endpapers that I have seen for a very long time. The silver gilt skull motifs on black paper shine with so much light that you will need sunglasses on just to look at them. They really make the book come alive before you even start to read the fantastic adventure inside. When Ada Goth wakes in the night to find the disgruntled ghost of a mouse on her bedroom carpet, she is more intrigued than scared. The mouse, formally known as Ishmael, is rather cross about his ghostly predicament so Ada decides to befriend him. In a house where it is believed that little girls should be heard not seen, which means Ada has to walk round Ghastly-Gorm Hall with large oversize boots, a whim of her eccentric father Lord Goth. Whilst exploring the mysterious halls and winding corridors, Ada and Ishmael uncover a dastardly plot to sabotage her father's annual Metaphorical Bike Race and Indoor Hunt. As you follow Ada and the Ghost mouse through this tale you will be both enchanted and delighted in this family adventure. It is a perfect book to read to your children - the fantastic pen/pencil detailed images scattered throughout this beautiful book add another outstanding level of fantasy to enhance the story. Chris Riddell has excelled himself with this book. It is a witty homage to some of the most famous literary classics, which have allowed him to run riot with his spectacular ideas. It is a warm, funny and highly imaginative tale of courage, friendship and loyalty. All of which have been told in a deliciously dark and gothic way. What more could you want? 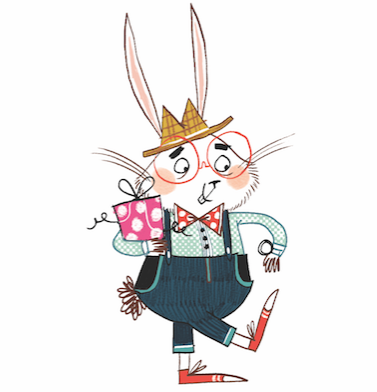 Well there is a little bonus at the end, but I shall say no more!